Rosemary Woodhouse's Wardrobe. Outfit 21: Short white towelling dressing gown and big fluffy blue slippers. 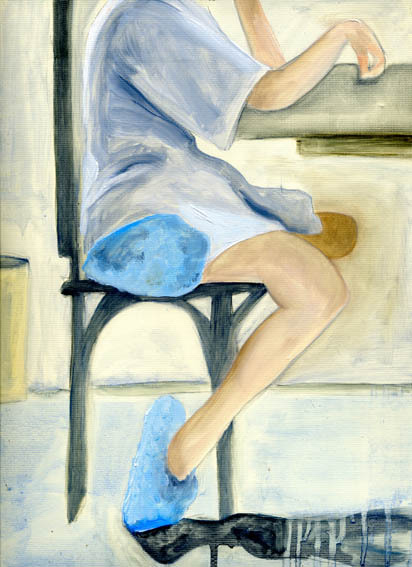 (In kitchen the morning after being raped by the devil), 2009, oil on paper, 30.5x23cm.